Great location, room facilities is best for family. We loved it! The property was very clean and neat, it's perfect if you have kids. It has everything you need and location was great! Will love to stay there again. Location is great and quiet place all day. Facility is super awesome. The room is so spacious, comfortable and clean. Excellent location near to three stations , with a direct train to the airport . Clean, well designed and well equipped room. I appreciate the numerous charging stations , mirrors , heaters , balcony and kitchen utensils and good space for opening our luggage . My girlfriend and I really loved the apartment. It was super clean and comfortable. The toilet was separated from the shower which was very convenient. Kitchen is also big and they provide all the necessary utensils, pots, etc. for cooking. The location is so amazing. Close to 4 metro and subway stations. It was really a quiet environment and you can find several convenience store including a big supermarket across the street. Super comfy! The apartment looks exactly like the picture. Room is so comfortable, big enough for 2-3 people. Complete facilities, kitchen, bathroom included with amenities, washing machine, even has access to netflix on the tv. I love it! 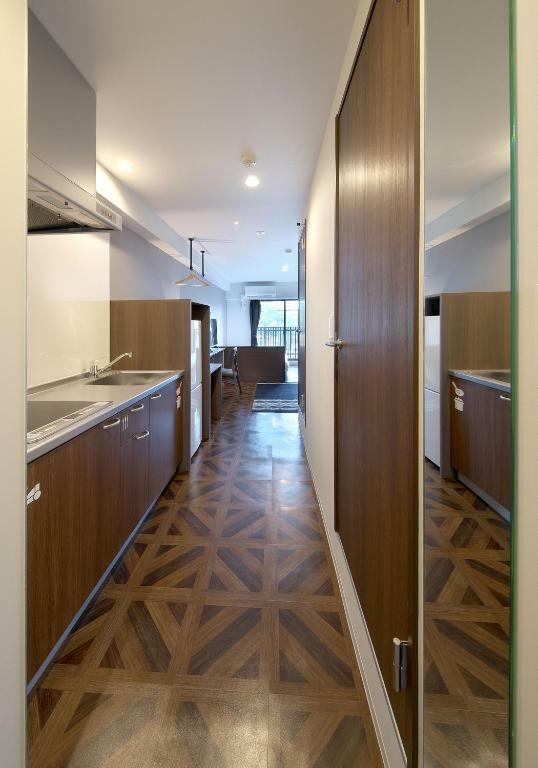 Will surely be back to this apartment later when I go to Osaka again. Thank you so much. Room is super tidy and neat and in order . The hotel staff is warm hearted to assist any request and very speedy. 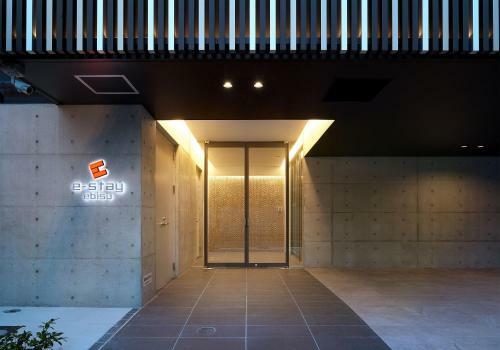 Lock in a great price for e-stay ebisu – rated 9 by recent guests! 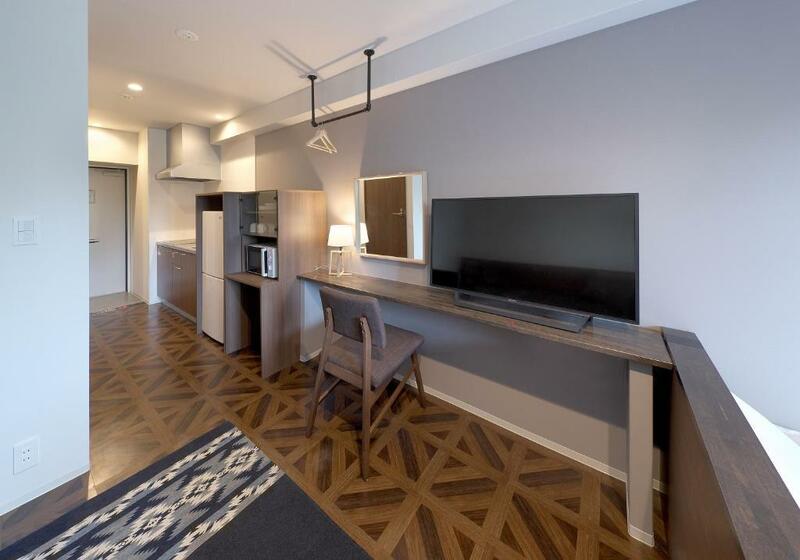 e-stay ebisu This rating is a reflection of how the property compares to the industry standard when it comes to price, facilities and services available. It's based on a self-evaluation by the property. Use this rating to help choose your stay! One of our top picks in Osaka.Located in Osaka in the Osaka region, with Tsutenkaku and Shinsekai nearby, e-stay ebisu provides accommodations with free WiFi. Fitted with a balcony, the units offer air conditioning and feature a flat-screen TV and a private bathroom with a hair dryer. 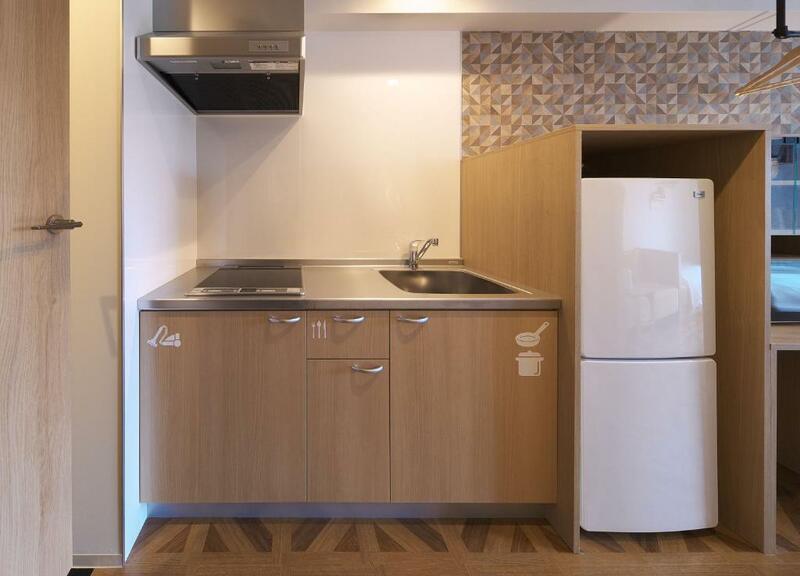 There's also a kitchen in some of the units equipped with a microwave and a fridge. 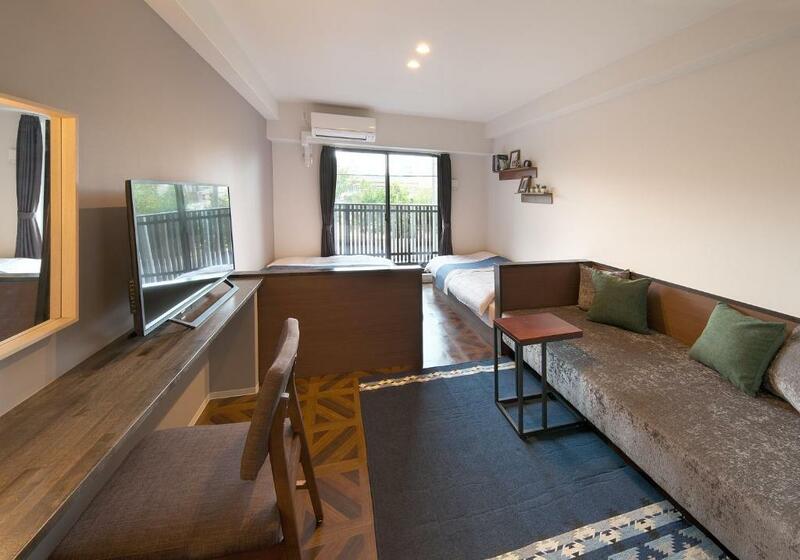 Shitennoji is a 20-minute walk from the condo hotel, while Abeno Harukas is 1.4 miles away. Itami Airport is 12 miles from the property. When would you like to stay at e-stay ebisu? 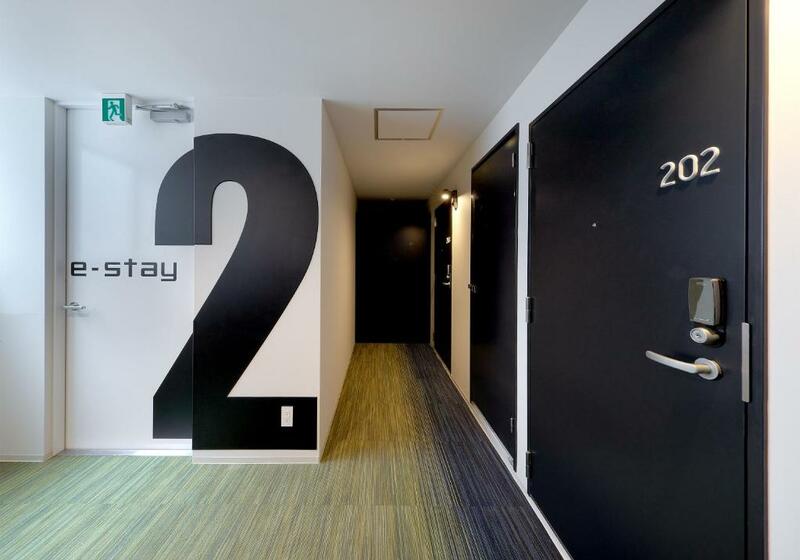 House Rules e-stay ebisu takes special requests – add in the next step! e-stay ebisu accepts these cards and reserves the right to temporarily hold an amount prior to arrival. Hotel location is a little far from nearest metro for us two people pulling two big luggages. 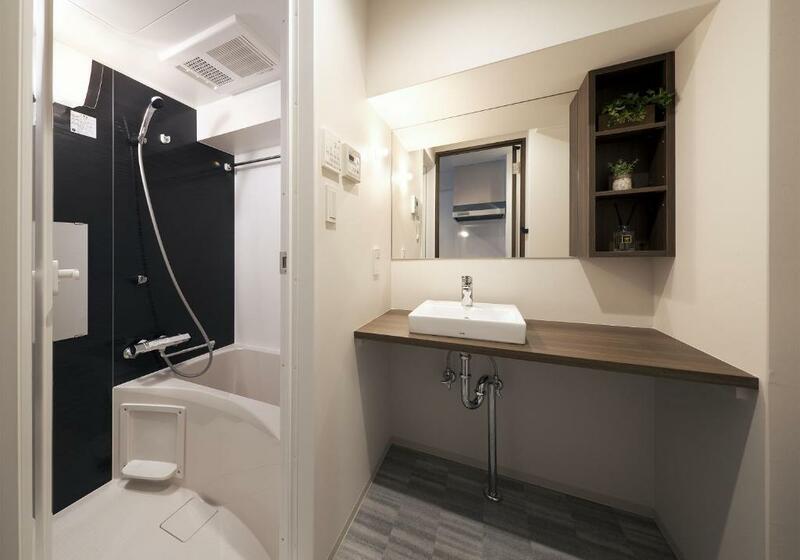 The location is a bit hard to find, and the surrounding neighbourhood is completely residential and therefore not easy for novice travellers in Japan. The room is very comfortable, spacious and fully equipped (especially for a long stay). My room was facing a school and therefore quiet and the view was good. Great little apartment that suited our family. Although no lobby/front of house, the staff were very prompt in responding to emails. Would highly recommend. Nice location and clean room. Good location. Very close to subway and train station. Maybe a bit more clean of the bed. Felt a bit ichy. Wish they could provide an iron. Also it would be great if they can keep the luggages after checked out. My flight was very late at night and I wasn't allow for late check out and they do not keep the luggages. It was a bit in pain to drag all our luggages to find a locker when we were travelling with a 6 years old boy. Other than that everything was perfect! The room is larger than other common hotel or hostel, and very clean.